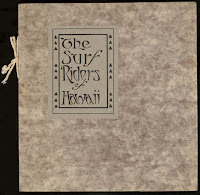 The Surf Riders of Hawaii: A.R. Gurrey Jr.
"These photographs of surf riding are from the negatives of Alfred R. Gurrey, Jr., and some of the results of three years work in surf photography. It necessitated going right out against the incoming surf, right at its height, and meant invariably a swamping of the canoe and soaking all in it. Mr. Gurrey felt amply repaid for his days outing if at the end of the day he returned with his camera and one unspoiled negative out of twelve." Alfred Richard Gurrey, Jr. was born in Kansas on December 21, 1874. He graduated from the University of California, Berkeley and worked as a civil engineer in the San Francisco Bay area for seven years. Right at the turn of the 20th Century he relocated to Hawaiʻi, joining his parents who had moved to Honolulu in 1899. Anahola by A. R. Gurrey Sr.
Gurrey’s father, Alfred Sr. (1852-1944), was a fascinating character. He was the principal insurance adjuster for the Island chain, drafting the first fire ratings and maps for the city of Honolulu. He also served as the Secretary of the Board of Underwriters for the entire Territory of Hawaii. This was a highly important and influential position; but while insurance was A.R. Sr.’s business it was not his passion. His real love was art. 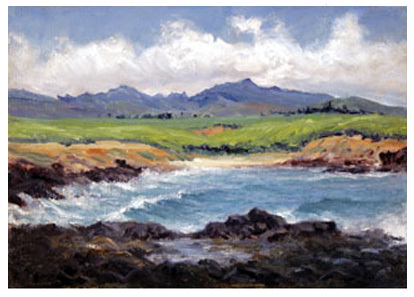 Makaweli, Kauai by A. R. Gurrey Sr. The younger Gurrey had grown up in a household surrounded by paintings and sculptures. A.R. Sr. was an accomplished artist who, after retiring from the insurance business, achieved significant fame for his oil paintings, notably seascapes. Today his works command hefty prices from museums, galleries and collectors. With such a gifted father it was perhaps inevitable that Gurrey would be drawn to the world of art. Upon arriving in Hawaiʻi Gurrey Jr. started working as a surveyor for the Honolulu Rapid Transit Company. He soon quit this job and left engineering completely. He became a gallerist and businessman, establishing “A. R. Gurrey, Jr. in 1902. At first he appears to have focused on furniture, interior decorations, reproductions of Old Masters, picture frames, Art Pottery and Artistic Publications. This was the first of three galleries that would eventually became Gurreyʻs LTD. in 1909. This eclectic gallery swiftly became the focal point of Hawaii’s burgeoning art scene. It was a salon and meeting place for artists old and new as well as an art dealership. Gurrey was particularly well regarded for his support of local talent. He not only showcased their work, but also offered jobs, meals, and the occasional rent check when times were hard. Among the many renowned artist he helped over the years where Don Blanding, lionel Walden, Charles W. Bartlett and photographer Tai Sing Loo. From all the reminiscences and articles about A.R. Gurrey, Jr. a picture emerges of a man with a technical bent, an artistic sensibility and a caring heart. At a time when race was a determing factor in virtually all aspects of society and buisness, A. R. showed himself to be surprisingly color blind. 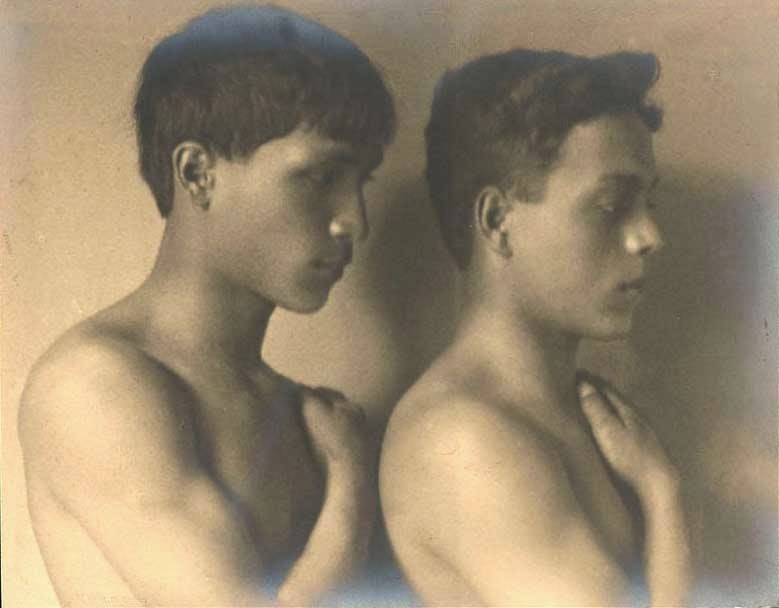 he mentored a young chinese Hawaiian named Tai Sing Loo and even had Tai accompany him on a buying trip to the mainland in 1909. Gurrey demanded that the hotels where he stayed at accomodate Tai as well, which suprisingly they did. Tai went on to become the Official Photographer for the U.S. Navy, and this too began with A. R. Gurrey. Caroline was a remarkable woman. She had moved to Honolulu from California and joined the studio of J. J. Williams as a photographer in December of 1898. An unusual occupation for a woman at the time. She went on to become one of the most successful commercial photographers in the island chain, specializing in exquisite, studio based portraits. Caroline gained national recognition with her study of mixed race children, "The Hawaiian Type Series". "Mrs. A.R. Gurrey, Jr., has just completed a set of about fifty of the most faithful, and also remarkable, photographic studies of Hawaiian types ever displayed in these islands... The collection forms a complete pictorial history of the Hawaiian race that has pronounced scientific as well as art value. This set will go forward with the Hawaiian exhibit for display at the Yukon Exposition in Seattle, after which it will become the property of the Smithsonian Institution. The display as it stands represents a serious work and not a fad. It is something in which Hawaiians may reasonably feel a pride in seeing their race so faithfully portrayed." The Honolulu Star, April 1909. 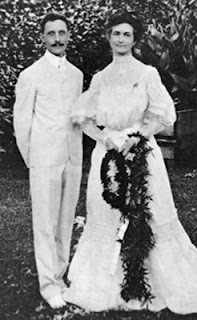 Caroline and A. R. were married on June 11, 1903, shortly after the first gallery opened. 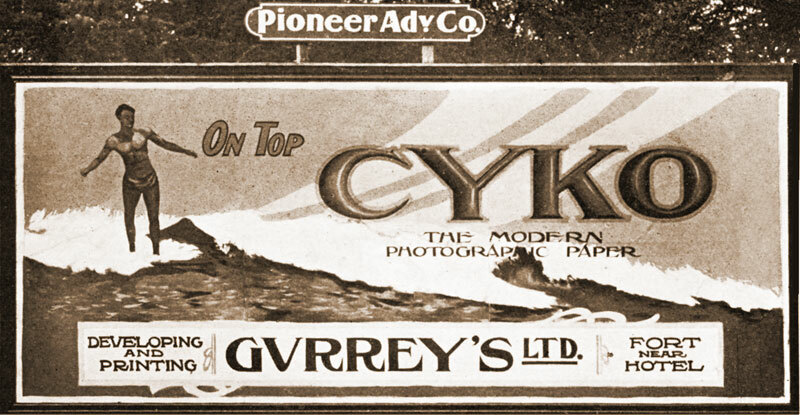 Eventually the galleries would take on a photographic focus when he bought out the Hawaiian Photo Supply Co. in 1908 and then in November of 1909, Gurrey Ltd. opened as the Hawaiian agent for Ansco films and cameras and Cyco printing paper. Soon thereafter Gurrey won the contract to handle all the photographing, developing and printing for the U.S. Naval Yard at Pearl Harbor. There is no indication that Gurrey ever received formal training in photography and he unquestionably benefited from his wifeʻs knowledge and encouragement, but their work was quite different. Caroline worked carefully composed and lit subjects in her studio, while A. R. did virtually all of his photo work outdoors. 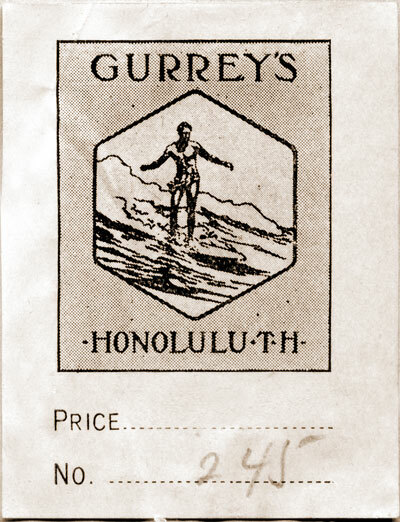 Note embossed Gurrey stamp at bottom left, reads "Gurrey - Honolulu". From "Photographers of Old Hawaii"
By 1910 photography had gone through monumental technological advancement over the last few decades. With George Eastman's invention of film and the introduction of small hand held "Kodak" cameras with preloaded film, photography was available for the first time to the masses and this camera become a standard item for the visiting tourist at Waikiki. 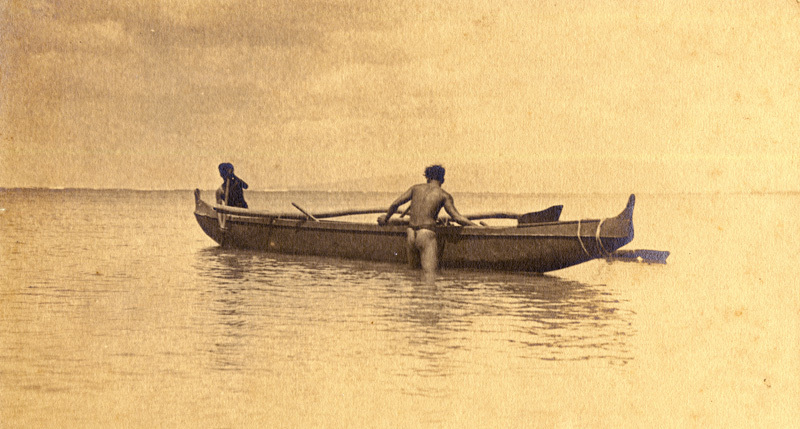 The first documentable photos of he'e nalu (surf sliding) where done on Niʻihau by Dr. Henry C. Bolton in 1890. Over the next few decades Hawaiian photographers J. J. Williams, Frank Davey, Ray Jerome Baker and Alexander Hume Ford documented the revival of the sport. They were joined by motion picture crews from Thomas Edison and the French Pathé Frères company. Their images are valuable from an historical standpoint, but the real breakthrough was about to occur. There was one aspect of Gurrey that separated him from his contemporaries -- he was an avid surfer. 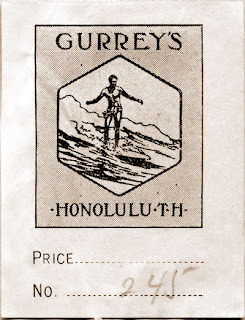 Gurrey was a member of the Hui Nalu, the surfing club founded by Duke Kahanamoku and his friends. It was a proud bastion of Native Hawaiians and hapa-haoles who held meetings under the Moana Hotelʻs hau tree. It says much about Gurrey that he chose the Hui as his club, as his parents belonged to the more socially prestigious Outrigger. Gurrey maintained a strong professional engagement with his friend Duke Kahanamoku, who was Gurreyʻs favorite photographic subject. Gurreyʻs photographs are the earliest known photos of Duke surfing, taken of the relatively unknown athlete before his first Olympics in 1912. Indeed, A.R., Jr.’s most famous photo is the soaring Duke executing a swan dive from the 100 foot mast of a sailboat. Gurrey also snapped the classic shot of Duke posed with his surfboard at Waikiki. The Hawaii Promotion Committee turned this photo into a postcard and sold it to raise money for Duke’s first Olympics. But the key here is that Gurrey knew firsthand what surfers and surfing were all about. His intimate involvement gave him an understanding of the sport beyond any cameraman of his era, and his practical experience with the U.S. Navy contract gave him confidence filming at sea and aboard water craft. From the angles used, the proximity to his subjects, and the fact that the moving elements are sharply in focus, it is apparent that Gurrey ventured into the surf itself – taking the photos from a canoe racing alongside the surf riders rather than just going out to the end of the Moana Pier. Given the quality of his results this was clearly a breakthrough for surf photography. The action shots in “The Surf Riders of Hawaii” are all the more remarkable when one considers the primitive state of camera technology circa 1910. Sports photography had just arrived with the controversial marathon photo of Dorando Pietri at the 1908 Olympics. And water housings to protect the camera were unknown, certainly not commercially available. Although we cannot be certain what equipment Gurrey used, it would invariably be an Ansco product as he was their official agent and dealer in Hawaiʻi. Several of their versatile “Folding” cameras utilized roll film that could be loaded in daylight and were small enough to handle (and protect) in a shaky canoe. Regardless of the equipment he chose, the results are what matters, and here Gurrey excelled. His rare blend of technical prowess, aesthetic appreciation and “wave knowledge” lifted his work above the others and set the standards of surf photography for years to come. A.R. Gurrey, Jr. essentially pioneered surf photography as we know it today. 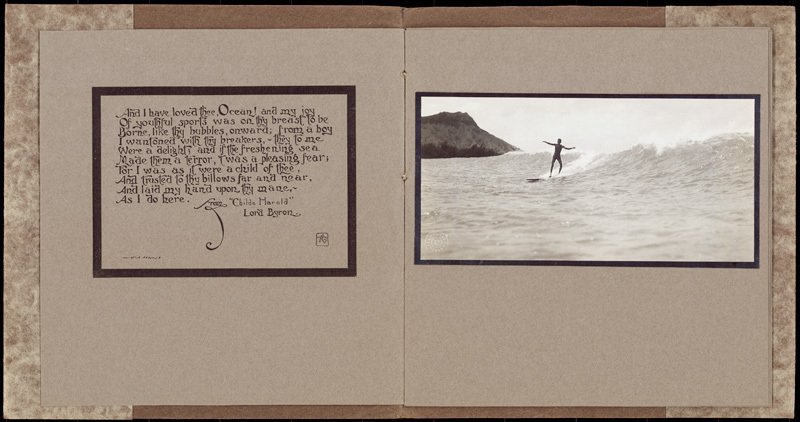 “The Surf Riders of Hawaii” combines stunning photographs with romantic poetry from Lord Byron and Gurrey’s own descriptive prose. The photos are all technically proficient - beautifully composed and fastidiously rendered. Each shot depicts a surfer or surfers riding the waves at Waikiki. From the standpoint of surfing history these images are invaluable. They provide clear documentation of the sport just as it was emerging from a century long period of decline. But they are much more than a just a celluloid chronicle. The eight (8) photos that comprise each of these books actually transcend history through their artistry. A.R. Gurrey managed to impart the intangible with his images; presenting viewers with the true spirit, splendor and visceral joy of wave riding. For the first time the essence of the surfing experience was displayed on film. This was a remarkable achievement, particularly given the technical limitations of the time. Gurrey’s photos are unquestionably the finest surf images of the era – and still a thing of rare beauty today. No one knows how many books were originally produced, or, indeed, exactly when they were produced. Each was hand assembled by the author/photographer some time between 1910 and 1914. Gurrey mounted original photographic prints directly onto heavy paper stock, and then bound the pages together with a colorful cord. This was painstaking work, commanding a great deal of personal attention. His obvious goal was to make every book special – an item precious unto itself. We have been able to verify two “editions” with different paper stock and some slight variation in the selection of photos mounted. This helps make each copy of this book somewhat unique. 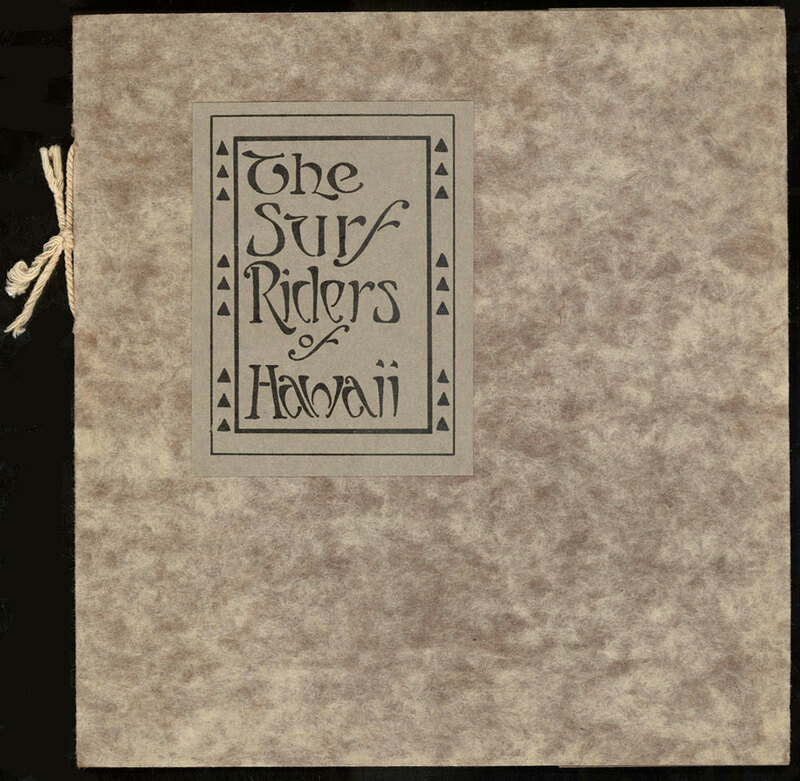 “The Surf Riders of Hawaii” today holds a revered place in the world of surfing. It is the first book dedicated to the sport and unquestionably a work of art. At the time of this writing only eight (8) copies of the book are known to be in existence. But the importance of this book is not in its scarcity or even the personalized touch of its manufacture. It is the wonderful content. A.R. Gurrey achieved some contemporary renown for his work. 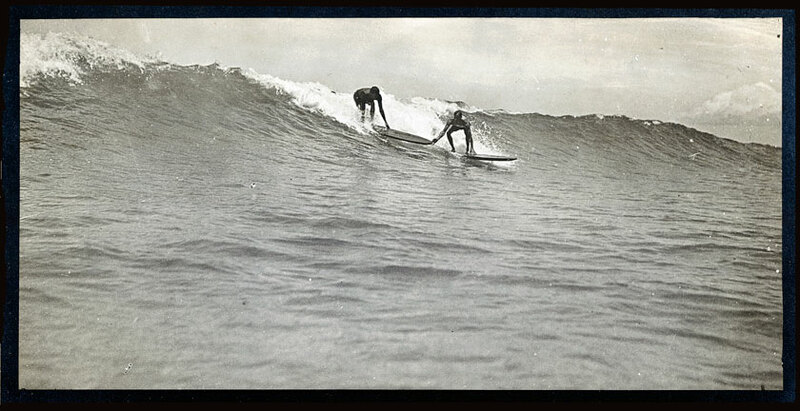 His pictures were regulary featured in Hawaiian and national publications (list below), including the complete "Surf Riders" of Hawaii” in St. Nicholas Magazine (1915), which at the time was one of America’s most popular children’s monthlies. But it was the Honolulu based Mid Pacific Magazine that most frequently displayed Gurrey’s images including Duke on the inaugural cover. Both A.R. and his wife Caroline were regular contributors to this fine journal in its early years. Caroline’s fame continued to grow and her photo studio thrived, but for some reason Gurrey seemed to stop taking photographs shortly after the publication of “Surf Riders.” He concentrated on his art gallery, but that tale does not have a happy ending. Gurrey’s Ltd. struggled financially for many years and finally closed its doors in 1923. After a year of unemployment Gurrey glumly reverted to his father’s business, taking a job as an insurance surveyor. The rumor at the time was that Caroline was actually supporting the family. During this unhappy period the Gurrey home suffered both a fire and a flood. It is believed that all of their original negatives were lost. and then Caroline died at age 52 in 1927. Perhaps this was the final straw in a succession of dream shattering events. Gurrey died in 1928, at the untimely age of 53. A.R. Gurrey, Jr. became a forgotten man soon after that. People often confused him with his father, who outlived him by almost two decades. And his wife Caroline became so well known that she was commonly given credit for the fine photographs her husband produced. His name and work where virtually unknown untill the publication of a Surfers Journal article in 2005, by Joel T. Smith & Sandra K. Hall. Still outside of a few collections most of his pictures have not been seen for almost 100 years. But his artistry speaks for itself. A.R. Gurrey is a man who fully deserves the recognition which is at last coming his light. 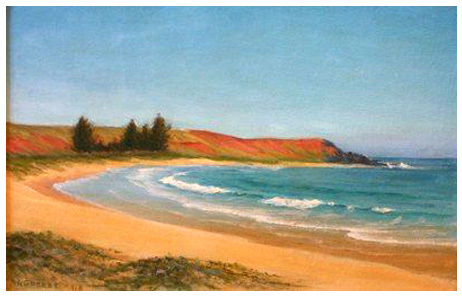 Published surfing works of A. R. Gurrey Jr.
Idyls of Hawaii. (Honolulu, HI. circa 1910-1915) Hand made, cord bound book of 11 Hawaii photos with prose. 2 photos of an outrigger, possibly the family canoe "Kamaaina" that was donated to the Outrigger Canoe Club, as noted in The Hawaiian Star newspaper, Dec. 8 1908. Frontispiece by Caroline Haskins Gurrey and numerous photos by A. R. Gurrey Jr.
Magazine Articles: Note during this era most photographs where not credited. vol. 1 no. 1: Jan. 1911 Cover shot of Duke (GALLERY) Frontpiece: Photo of Duke with Charlie Little or Marston Campbell on his shoulders. Main article "Riding the Surfboard" by Duke Paoa (Kahanamoku). "Honoluluʻs Busy Corner" Page 122 "Next to Culmanʻs is "Gurreyʻs." This Art and Photo Shop is the home of the Hawaiian Roycroftes, where you can see the work of the leading artists of the Islands, small views, native types and surf riders and other objects of art. Besides being the leading art shop, they are agents for Ansco Cameras and Cyko paper, with a developing and printing department that can not be excelled." vol. 1 no. 2: Feb. 1911. 13 photos accompany second part of Duke Paoa (Kahanamoku) article "Riding the Surfboard". Only one credited to "Ferris" other photos not credited, one of Duke is by Gurrey, some may be by A. H. Ford? vol. 1 no. 3: March 1911. Notes A. R. Gurrey Jr. has "taken the best surfing picture yet made." vol. 4 no. 5: Dec 1912. Photo of Duke as used in the Gray Version of The Surf Riders of Hawaii. vol. 9 no. 4: April 1915. 12 Photos accompaning article "Surf Board Riding in Hawaii" by Lorrin P. Thurston, none credited, at least 2 are by A.R. Gurrey Jr.
vol. 15 no. 3: March 1918. 3 Photos (None credited) Along with the article "Surf Riding - The Sport with a Thrill" by Req. L. "Snowy" Baker. One by Gurrey of Duke with Charlie Little or Marston Campbell on his shoulders. Our Navy Magazine November 1912. Edited version of "Riding the Surfboard" by Duke Paoa (Kahanamoku) with 4 photos by Gurrey used in The Surf Riders of Hawaii. Outing Magazine April 1914. "Riding the Surf at Waikiki" by George Marvin, 13 photos "illustrated with photographs by Gurrey", two of Duke. 10 photos, with same text and poem as books with 1 added. National Geographic Magazine 1919. 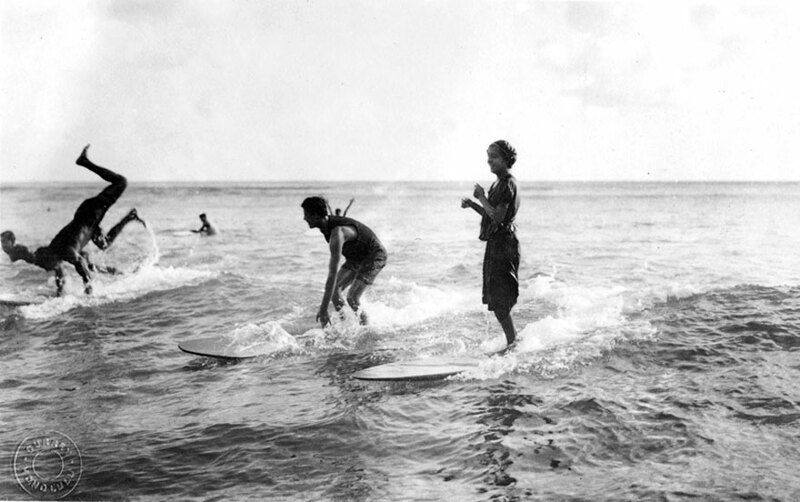 "Riding the Surf at Honolulu, Hawaii." 1 photos, short text on "Hawaiiʻs distinctive sport" credit A. R. Gurrey.